Overdue receivables obviously have a major impact on your company's cash flow. 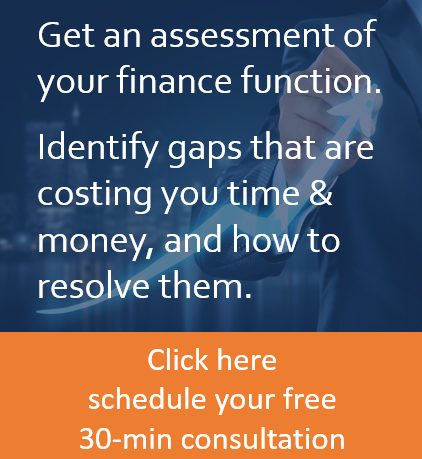 If you don't have a clear, detailed, firm credit policy in place, expect customer confusion, resentment, and an ever-increasing gap between your receivables and your payables. To whom will you extend credit, and how will they qualify? Small businesses should run credit checks just as rigorously as the Fortune 500 companies do. Ask for financial statements, credit reports, and vendor or customer references. Use an aging report divided into categories of repayment periods (30 days, 60 days, and son on) to see which of your current clients are slow-pays or no-pays and whether the behavior occurs repeatedly. Review their financials every year to make sure they’ve maintained their credit-worthiness, bearing in mind seasonal upswings or downswings that might help you anticipate their payment behaviors. Once you’ve created an ironclad credit policy and gotten customers to follow it, don’t drop the ball by failing to follow it yourself. Customers will pay attention to your company’s billing and collections practices to gauge how strictly you apply them. If you invoice late, for instance, your client may decide that it’s just as fair to pay late -- after all, you’re clearly in no hurry to collect, right? Bill on time, every time, and follow your credit policy like clockwork. If you take your requirements seriously, so will your customers. If some customers consistently have trouble meeting the specific credit agreement they made with you, maybe they’d perform better under a slightly different percentage here or limit there. You don’t have to rewrite or go back on your policy to discuss options that both parties can accept.